Learn how to turn any portrait image into a black and white or color pencil sketch using Photoshop CS6. 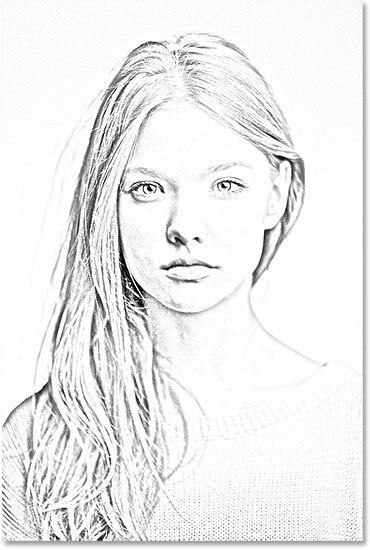 In this tutorial, we'll learn how to easily turn a portrait photo into a pencil sketch, both in black and white and in color, using Photoshop CS6. If you're using Photoshop CC, check out the updated Photoshop CC version. This version of the tutorial, fully updated from the original version, features a more flexible, non-destructive way to create the sketch effect by taking advantage of Photoshop's Smart Filters and adjustment layers, along with some handy layer blend modes. We'll start by learning how to convert the photo into a black and white sketch (and how to keep the effect fully editable with Smart Filters), then we'll finish things off by learning how to colorize our sketch using colors from the original image. The sketch in black and white. The adjustment layer sitting above the Background layer. Dragging the Saturation slider to the far left. 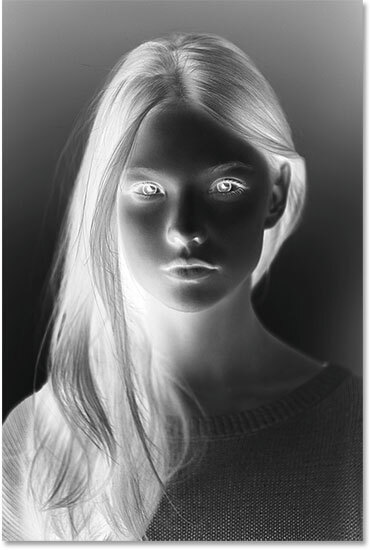 The image after removing the color. The Layers panel showing the new Background copy layer. The image is now inverted. Changing the blend mode of the layer to Color Dodge. One thing I like to do whenever possible is take advantage of Photoshop's Smart Filters, which keep the filters we apply to an image fully editable in case we want to go back later and change some of the settings. In a moment, we're going to apply the Gaussian Blur filter, but before we do, let's make sure we'll be applying it as a Smart Filter. Choosing "Convert to Smart Object"
The new Smart Object icon in the preview thumbnail. 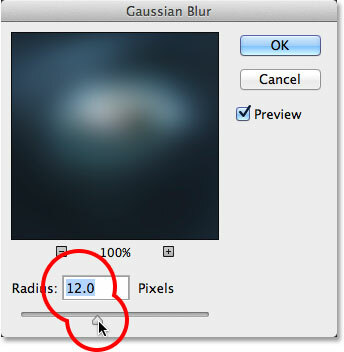 This opens the Gaussian Blur dialog box. To create our main sketch effect, all we need to do is apply some blurring to this layer. To do that, click on the Radius slider at the bottom of the dialog box and begin slowly dragging it towards the right to apply a slight amount of blur. Keep an eye on the image as you drag and you'll see it beginning to look more and more like a sketch. Don't drag too far, though, as too much blurring will make it look like a photo again. A little blurring is all we need. Dragging the Radius slider to apply a small amount of blurring. The sketch effect after applying the Gaussian Blur filter. Double-clicking on the Gaussian Blur Smart Filter will re-open it for further editing. Clicking the Levels icon in the Adjustments panel. The Layers panel showing the new Levels 1 adjustment layer. Changing the blend mode of the Levels adjustment layer to Multiply. The effect after changing the blend mode to Multiply. Lowering the opacity of the Levels adjustment layer. The effect after lowering the layer opacity. Clicking the Background layer to select it. Once again going to Layer > New > Layer via Copy. The Layers panel showing the new Background copy 2 layer. Step 13: Rename The Layer "Color"
Renaming the Background copy 2 layer to Color. Dragging the Color layer above the other layers. The Color layer now sits at the top of the layer stack. Changing the layer blend mode to Color. Lowering the opacity of the Color layer to 65%. And there we have it! That's how to turn a portrait photo into either a black and white or color pencil sketch using Smart Filters, adjustments layers and blend modes in Photoshop CS6! Visit our Photo Effects section for more Photoshop effects tutorials!